What Are The 5 Brain Types Associated with Addiction? When we talk about treating addiction, too often we think in terms of a “one size fits all” approach, but there are different types of brain function associated with addiction. Sometimes what works best for some may actually be quite detrimental towards others. In this episode, Dr. Daniel Amen and Tana Amen reveal the five different brain types associated with addiction and give treatment methods for each type. 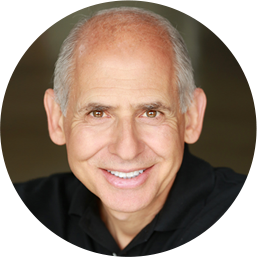 Dr. Daniel Amen:	Welcome to The Brain Warrior's Way Podcast, I'm Dr. Daniel Amen. Tana Amen:	I'm Tana Amen. Here, we teach you how to win the fight for your brain to defeat anxiety, depression, memory loss, ADHD and addictions. Tana Amen:	The Brain Warrior's Way Podcast is also brought to you by Brain MD. Where we produce the highest quality nutraceutical products to support the health of your brain and body. For more information, visit brainmdhealth.com. Welcome to the Brain Warrior's Way Podcast. Dr. Daniel Amen:	Welcome back. We're talking about addiction rescue, and we have to talk about what I think is one of the big innovations that we've made at Amen Clinics is, we have seen that all addicts are not the same. Dr. Daniel Amen:	That there are some that are impulsive, some that are compulsive, some that are impulsive and compulsive, some that are sad, some that are anxious, and some that have had trauma. In fact, that's actually really common. If you're going to understand addictions, it's critical to understand the brain. Tana Amen:	So, I have to say ... 'cause we talked in our last episode about how personal this is to me, and we've got several people in my family who have suffered with addiction. It just seems to be an issue and something that ... If you are the person in your family who is not the addict, it's really easy to get angry. It's really easy to be frustrated, to not understand, to be judgemental ... Guilty as charged. Tana Amen:	It's very easy to not just go, "Why can't they just do it right? Why can they just figure this out?" But, what's fascinating to me is that after understanding this work better, I'm kind of a hard-charging ICU nurse, and it's like, "Just fricking do what you need to do. Like, what the hell is the matter with you?" I'm sorry, I'm just being honest. That's been my way of handling things in the past. Tana Amen:	Because of that, I just built walls to ... If you couldn't do it right, then you were weak, and you need to stay away. So, I mean, obviously how is that working out for you? That didn't work out too well. So, understanding our work a little better, and you bringing all these people back into my life, I had a chance to actually see their brains. What I found odd, here's what's odd ... Three of the people I know in my family who had addiction, which all would seem to be the same were all extremely different. Tana Amen:	One had ADD from hell, that's my uncle who is the past heroin addict. ADD from hell. One was like OCD brain on fire, and one was like head injury PTSD, like weird. None of them were the same. Dr. Daniel Amen:	Right, and because most addicts never get their brains scanned, and treatment targeted to their brain the whole field is without a map. So, it then becomes chaotic. Tana Amen:	...people had a different treatment plan. Dr. Daniel Amen:	Right. So, by the imaging work that we do here at Amen Clinics, almost immediately we learned; one, substances are toxic to brain function, if you love your brain you'll avoid them like the plague. We have a high school course that decreases drug, alcohol, and tobacco use. Decreases depression and improve self-esteem 'cause we teach kids to love their brain. Tana Amen:	To the executive. Dr. Daniel Amen:	...does what? Tana Amen:	Is out to lunch. Dr. Daniel Amen:	It's on vacation. Tana Amen:	The boss is out to lunch. Dr. Daniel Amen:	The boss is away. Tana Amen:	So the mice will play. Dr. Daniel Amen:	So, if you have low prefrontal cortex function you often get a diagnosis of ADD. Short attention span, distractibility, restlessness, impulse control, poor planning. Tana Amen:	So, that didn't surprise me, what surprised me was when that wasn't the case and it was actually over focus. And you're like, "Well, then you shouldn't have trouble making decisions." Dr. Daniel Amen:	Let's do this one first. Let's ... Stay with me. Tana Amen:	It's a little intense for me. Dr. Daniel Amen:	...six in the next 15 minutes. Dr. Daniel Amen:	Because what a lot of people don't know is that untreated ADD in girls or guys, 52% of them will have trouble with substances. Dr. Daniel Amen:	Ain't that horrible? I mean, it's just awful. Dr. Daniel Amen:	Because the prefrontal cortex focus for thought, judgment, impulse control, organization, planning, empathy, learning from the mistakes you make. It could from ADD 'cause you have ADD people in your family, like you do. Or it could come from a traumatic brain injury that damaged the front part of your brain. Dr. Daniel Amen:	So, the treatment is often ... You have to treat the ADD or they'll never get their addiction under control. But, just as you said not everybody is like that, and what we also discovered with some people had frontal lobes that work too hard. Dr. Daniel Amen:	So, think about this with me you're in a Ferrari, or a Mercedes, or a Porsche and you're at the top of a Colorado mountain, and the car, which is awesome has lousy brakes. Well, you actually don't make it to the bottom because you're dead. Tana Amen:	You go off a cliff. Dr. Daniel Amen:	Right, you go off a cliff. When you have low frontal lobes it's like the brakes in your head are not effective, and so you say things that hurt other people's feelings. You do things that your decision making is consistently poor, 'cause your frontal lobes are low in activity. Dr. Daniel Amen:	What if the brakes are always on? Tana Amen:	You can't get anywhere. Dr. Daniel Amen:	...'cause it's like, "Stop, stop, stop." Tana Amen:	Oh my God, I've seen this so I try to coach this person in my family and she spins, and spins, and no matter what I say she'll say, "I have this problem." And I'll say, "Okay, so we'll work through it together." And we're on this really good path, and then all of a sudden brakes are on and she switches gears. Tana Amen:	And she's like, "But, that's not the problem." And then she goes on to a new problem, I'm like, "What is that?" It's like she's got Teflon on. And I'm like, "We can never get anywhere." Tana Amen:	It's so irritating. Dr. Daniel Amen:	No matter what you say it bounces off. Tana Amen:	Do you know how exhausting that is? Tana Amen:	Okay. But, when is your family and I'm not getting paid for it, it's exhausting. And you're getting called all night long. Dr. Daniel Amen:	Getting paid helps. Tana Amen:	I know, it's just ... It's just exhausting dealing with people like that because they constantly have problems. Tana Amen:	Oh my God. Dr. Daniel Amen:	...they tend to be argumentative, and oppositional no matter what it is you say they argue with you and it's exhausting. Dr. Daniel Amen:	Then ... Type one, Impulsive Addicts, low frontal lobes we need to stimulate them. So, we'll do it with stimulating supplements like focus and energy, the one we create that has ginseng, and rhodiola, [ashudanda 00:08:21]. Or stimulants like ritalin or adderall. And it's a miracle, if you don't treat their ADD their addiction will never get better. Dr. Daniel Amen:	I mean, it's really [inaudible 00:08:35]. But, the one who has high frontal lobe activity they usually have low levels of serotonin. If you stimulate them you make them crazy. Tana Amen:	...it made her crazy. Tana Amen:	It made her crazy. Dr. Daniel Amen:	...but her brain was not ADD. Dr. Daniel Amen:	She acts like it but her brain wasn't consistent, and therefore she didn't have a positive response. Tana Amen:	It was bad. Tana Amen:	Made her want to kill herself. Dr. Daniel Amen:	...we have to calm it down and we use that with serotonin intervention. So, sometimes medications that increase serotonin ... I'm actually a fan of the nutritional supplements like saffron, and 5-HTP, and l'tryptophan can be really helpful. Dr. Daniel Amen:	The diet, 'cause we said we'd talk a little bit about diet, for the Impulsive Addict is the Atkins Diet. It's a high protein, low-carbohydrate diet, Paleo diet. You put the Compulsive Addict on that diet, they become mean and they become very unhappy on that diet. So, diet matters to the type. Dr. Daniel Amen:	Then, there's Type three, which I discover in the children and grand-children that I see because as I said, my first wife grew up in an alcoholic home so I have grandchildren of alcoholics as children of mine. I learned that they have a combination of Type 1 and Type 2, so Type 3 is Impulsive-Compulsive Addicts. So, they have features of ADD, features of OCD, and you have to balance their brain and we do it by raising both dopamine and serotonin. Tana Amen:	I've actually heard ... So, the person I'm thinking of has ... She's not only sad but she's got some PTSD, and head injury. This is the other one not the same one I was just talking about, another person. Tana Amen:	She has physical pain a lot. So, when she's going through this depression, and the cycle of addiction she's physically in pain and she's very, very tired. Tana Amen:	Helps her pain. Dr. Daniel Amen:	...actually helps pain. Then, there are the Anxious Addicts, they feel nervous, tense, and when they're in social situations they clam up. And they find ... Like the co-author of my book, our book Unchain your Brain: Breaking The Addictions That Steal Your Life, David Smith. He's the founder of the Haight Ashbury Free Clinic, he said the first time he had alcohol it loosened him up and he was social, and he said, "I think I felt like other people normally feel." And he could be the life of the party where without that he was terribly anxious, and shy, and nervous. Dr. Daniel Amen:	So, sometimes people use substances to treat underline brain problems, and I always say, "Let me do your medicine, I'm better at it than you are." Then, the last type of addict is Head Injury it's what we call Temporal Lobe Addicts. Tana Amen:	But, there's combinations of these. Dr. Daniel Amen:	...so we can target ... Yes, you can have all of them. Know your type or combination of types and then put the brain in a healing environment, which is just so important. Dr. Daniel Amen:	You're lost. Dr. Daniel Amen:	You have red hair. Tana Amen:	Yeah, and a couple therapists ask me about this. 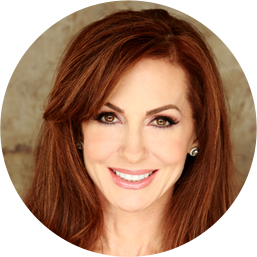 Dr. Daniel Amen:	You have red hair and I'm afraid. Tana Amen:	No, you're not unfortunately. Unfortunately, I cannot make you afraid. Dr. Daniel Amen:	Stay with us, we'll be back ... Thank you for listening to The Brain Warrior's Way Podcast. 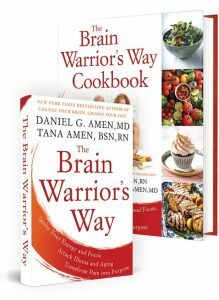 Go to iTunes and leave a review, and you'll automatically be entered into a drawing to get a free signed copy of The Brain Warrior's Way, and The Brain Warrior's Way Cookbook we give away every month. ← Is It Possible To Break Free From The Chains of Addiction?